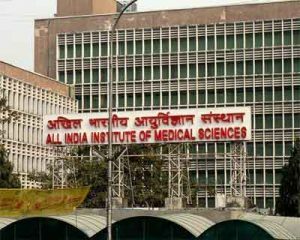 Bhubaneswar: All India Institute of Medical Sciences (AIIMS), Bhubaneswar is planning to add 300 more beds to its state-of-art facility, in order to cater to the increasing footfall of patients coming from within the state as well as nearby places for medical treatment. The institute also plans to install radiation services for treatment of cancer patients and open an AMRIT(Affordable Medicines and Reliable Implants for Treatment) outlet to facilitate cost-effective purchase of medical equipment and implants. A TOI report confirms that the latest additions will be in place within the next two to three months. AIIMS will be adding brachytherapy for cancer patients, which can be done as an OPD procedure. At present, only chemotherapy is done for cancer patients within the institute.The medical institute has so far catered to around 22,000 cancer patients through its present treatment services, Dr Parida told TOI. On the issue of cancer treatment, Parida further said that there is an increased prevalence of breast cancer among women. The main problem lies in their coming late to the hospital for treatment when the disease has progressed to an advanced stage. On AMRIT outlet, he further that the outlet will be a benefit to the patients as the government will run a centrally sponsored programme, through which it would provide over 200 various medicines for cancer and cardio-vascular diseases besides orthopaedic drugs and heart implants such as valves, stents and knee implants at an affordable rate within the pharmacy. The centre will be run by Central PSU HLL Lifecare (HLL) and the medicines, implants will be provided based on prescriptions from doctors of AIIMS only.